Living with type-1 diabetes is challenging since it is insulin dependent. Although there are some treatments to help cope with, but it’s not always easy to keep the blood sugar levels within the range targeted by your doctor. There are many things that can affect your blood sugar. Has anyone reversed or ever cured this diabetes? Alternative names include insulin-dependent diabetes or juvenile diabetes. It is a chronic, lifelong condition in which pancreas loses its ability in producing insulin. Pancreas may make very little insulin, or even may not able to make insulin at all. Again, it’s a hormone produced and released by pancreas, an organ below and behind your stomach. This hormone is required to help allow glucose (sugar) in the bloodstream to get into the cells and tissues of the body which then converted to become energy. It usually reaches its peak level after eating, when the amount of glucose in the blood increases drastically. As the blood glucose level decreases and backs to normal, so does the quantity of insulin released by pancreas. In diabetes, the ability of the body in making or/and using insulin is impaired. As a result, the blood glucose level is more difficult to control and become easier to rise. The exact cause of this diabetes is not fully known. Experts believe that it is attributed by various factors from genetics to environmental factors (such as exposure to viruses). And one that takes more attention is the abnormality of the body immune system. In fact, most cases of type 1 diabetes are associated with autoimmune disorder. Normally, the immune system is the body’s defense system to fight against foreign invaders. But in this diabetes, islet cells or insulin-producing cells of pancreas are mistakenly attacked by the immune system. The damaged islet cells can be serious enough to make pancreas fail to produce insulin. Unfortunately, it still has no cure! So far, the best thing to do is to control the disease and prevent the complications. And since this kind of diabetes is insulin dependent, you usually need to take insulin every day to help control your blood sugar. Anyone with this diabetes needs lifelong insulin therapy. There are a few people claim that they might successfully cure the disease, but it’s not proved yet with research. Many times, their claim is just to relieve the diabetic symptoms for a while. 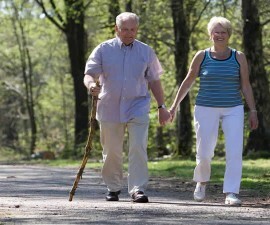 Although the cure still remains unclear, there are plenty of options to cope with the disease. At first, you may feel that your diabetes management is overwhelming. But over time, you will get used with the treatment plan. Like anyone else, healthy-balanced diet is important – especially true if you have diabetes. See also comprehensive guide for diabetes diet in this section! Keep active with regular exercise! And frequent blood sugar monitoring. First, we need to find out how to stop or prevent the mistaken body’s immune system from attacking the insulin-producing beta cells. 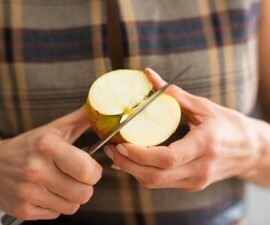 Then we need to restore the natural ability of the body in producing its own insulin. Some different methods of treatments have been proposed, but currently no one that has been approved. More studies are required! Meanwhile, the cure still remains puzzling – hopefully it will be discovered as soon as possible. 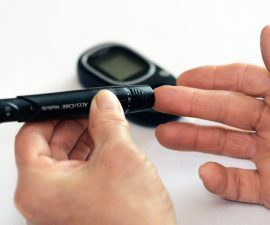 A promising future of treatment for type 1 diabetes was published in the in the Journal Science Translational Medicine, according to a Telegraph report (see the reference). The idea coming from specific cell called ‘T-reg cell’. It’s thought that people with type 1 diabetes don’t have enough T-reg cells. Healthy individuals have millions of these cells to protect the insulin-producing cells of pancreas from the mistaken immune system attack. And researchers have found a method of how to use T-reg cells for treating type-1 diabetes. These cells are removed from the body which then can be increased by thousand times in lab. And these cells can be put back in the body. With adequate T-reg cells, people with type 1 diabetes may be freed from injecting insulin multiple times a day. This treatment is safe in a trial of 14 patients, which lasts up to a year. Although this finding is not a cure, but controlling and preventing the immune system from killing insulin-producing cells are worth a try. It could be an important step of research towards a cure! Someday, it may be also able to give a significant positive effect in changing the course of the disease. 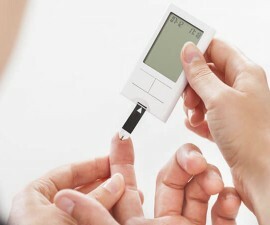 More comprehensive studies are required before eventually it is widely used for effective treatment of type-1 diabetes. The good news, you can still live long with it! Although type 1 diabetes is currently incurable, it’s manageable. Even there is also good chance to live long with the disease. For instance, the following is real story from Bob Krause, a tough man who successfully controls the disease for more than 80 years.